SKU: TAD35E. Category: Portable Air Conditioners. 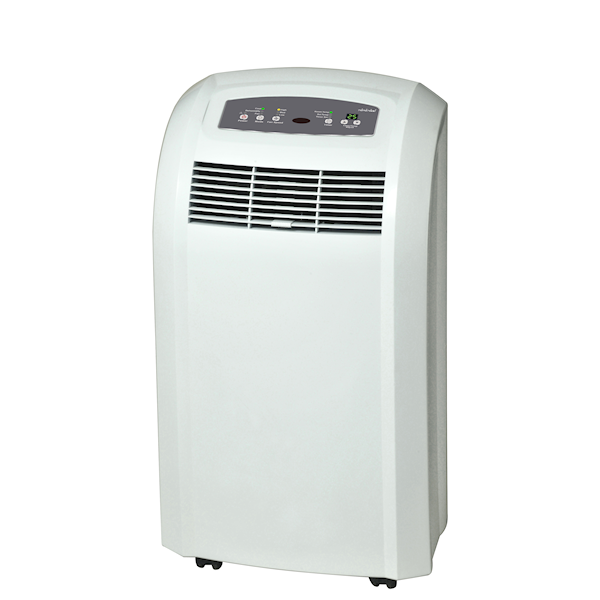 An Toyotomi TAD35E Portable Air Conditioner can provide relief from the heat when no other form of air conditioning is present or indeed where a central air conditioner is not providing enough cooling. Sometimes central air systems in offices only cool to 26°C but it may be that certain rooms in an office centrally cooled can reach higher temperatures and need to be cooled. Portable Air Conditioners are often used in living rooms, bedrooms, doctors waiting rooms, lawyers offices etc. perfect if planning permission does not allow the site of an external unit on the outside of a building as would be needed with most installed “High Wall” air conditioners used often to cool rooms. Without the need to be installed, Ecor Pro Portable Air Conditioners are a fast way to cool. A large number of Ecor Pro Portable Air Conditioner are used to cool “computer server rooms” where they are ideal in use. Choosing a portable air conditioner is made easy with typically 2 options being recommended by Ecor Pro. Small & Large models TAD24E & TAD 35E. Each is designed for specific normal use but if the temperature in the room is hotter than normal due to internal or external factors the TAD35E should be considered or the TAD35E considered for a smaller volume of space.